The line “Similar breathalyzers cost up to $90 or more,” is an important reminder that BAC Home should be used not only before driving but also before attempting to write an infomercial script. The only catch to this neat little product is that when Uncle Fred gets really smashed he will probably confuse BAC Home with his blood glucose monitor, and mistakenly come to the conclusion that he is okay to driveor that needs to consume a whole box of Snickers stat! Having BAC Home in his pocket makes it less likely your Uncle Fred will die suddenly in a tragic auto accident and more likely that he will die after a long and painful ordeal battling cirrhosis of the liver. 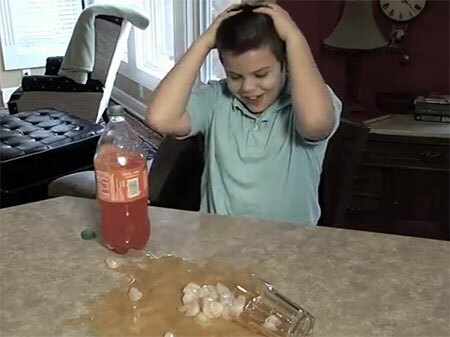 Anyone who is traumatized by flashbacks of the horror of opening and pouring a 2-liter soda bottle needs psychiatric counseling ever more urgently than they need physical therapy. BAC Home and Lit-R Lev-R make the perfect gift combo for anyone on your Christmas list who plans on spending the new year consuming Rums-and-Cokes and Sevens-and-Sevens from morning ’til night. 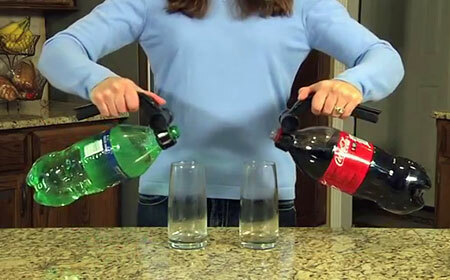 I’ve always found pouring soda out of liter bottles to be a harrowing experience. I mean, where do I put my hands? There are no handles so I’m at a loss as is what I’m suppose to hold! How do I stop the liquid from pouring out when my glass is full? Whenever I get drunk, I dont reach for a breathalyzer. After a fifth of goldschlager, I usually just wind up puking in someone else’s bed.